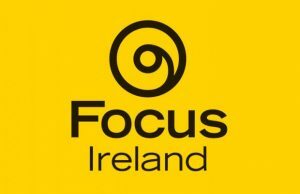 Focus Ireland has responded again to negative remarks about the homeless from housing officials, stating that such comments are an unnecessary distraction. Responding to recent comments by Dublin City Council CEO Owen Keegan that people become homeless because of improvements in homeless services, Focus Ireland’s Director of Advocacy, Mike Allen, said “inflammatory” comments dilute “the sense of urgency required to tackle the problem”. 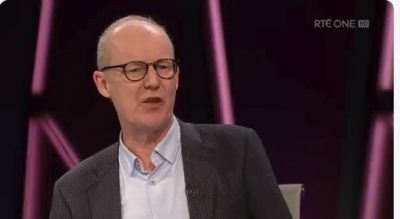 However, he noted that Minister Eoghan Murphy is an exception – he has not made such remarks and has occasionally distanced himself from them. Since his remarks were published in the Sunday Business Post, there have been calls for Owen Keegan to apologise. Next month members of the council will vote on a motion calling for his resignation. In a statement on the issue Mike Allen said that some people say there is a planned strategy to “change the narrative” about homelessness and undermine the public concern and sympathy for those who are homeless. Instead, Focus Ireland wants public servants “to treat people with dignity and respect” and provide “public services which solve problems”. Mike Allen said that the many different understandings of what it means to be homeless are also distracting. For example, Mr Keegan and others use the term “homeless” for those in emergency homeless accommodation. However, Ireland’s housing and homeless problem is now much deeper and more widespread than that. Focus Ireland evidence shows that after eviction many families spend long periods staying with family or friends on makeshift sofa beds and in the “front room”, and similar accommodation. Only when this becomes unsustainable for everyone do these families register as “officially homeless” and enter homeless services. He added that millions of euros have been spent on these shelters and hubs and more than 1,000 new “emergency” homeless beds have been opened in the last few years, with 300 more to follow annually. Focus Ireland and similar organisations have been accused of being negative when they are critical of this approach. Mike Allen said that Dublin City Council has “totally inadequate and unambitious social housing targets”. Between 2015 and 2017, more than half (2,866) of the 4,812 social houses delivered by Dublin City Council were homes they had allowed to become void. Only 322 were newly built by the council. “The major problem about Mr Keegan’s comments is not that some people felt insulted or upset, but that they distract us from the fact that Dublin City Council needs to do a lot more, with a much greater sense of urgency,” said Mike Allen. He concluded that more social housing must be built.